No, I didn’t take this photo, before anyone asks! 🙂 It was taken in about 1890 and shows approximately the same view as in the previous blog post. A lot has changed in 123 years, with the Pier and the Camera Obscura on the hill remaining as the only constants. 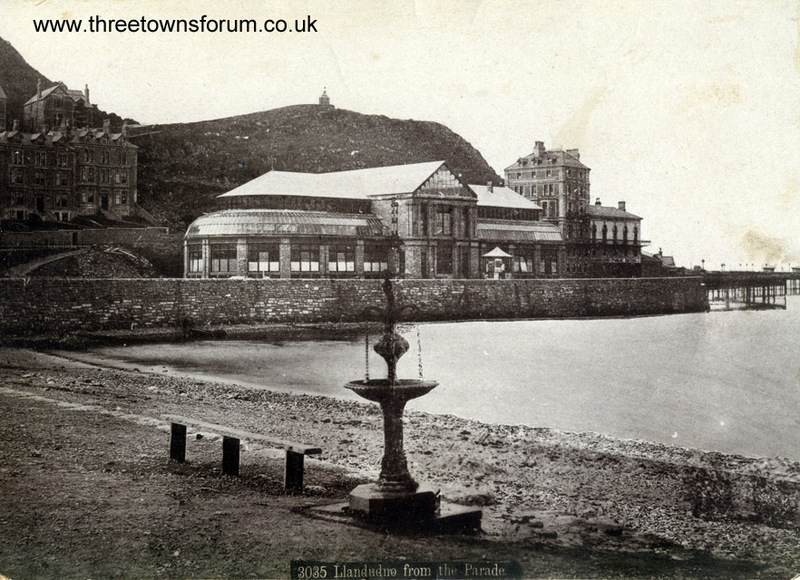 The Pier Pavilion (left) was destroyed by arsonists in 1994 and the Baths Hotel (right) was demolished in 1900 in order to build the Grand Hotel. You can see thousands more old photos of Llandudno and the surrounding area at the Three Towns Forum: www.threetownsforum.co.uk. Look for the Gallery section.